For most cats, loud and unexpected noises would come top in a list of things that make them unhappy. Their super senses are quick to pick up on the strange sounds that accompany fireworks, which can cause them to bolt for safety. But there are ways you can help your kitty survive fireworks season. My cat is terrified by loud noises — why is this? Festive and exciting for humans, cats (and most other animals) are unimpressed by the colourful explosions that fill the sky during firework season. 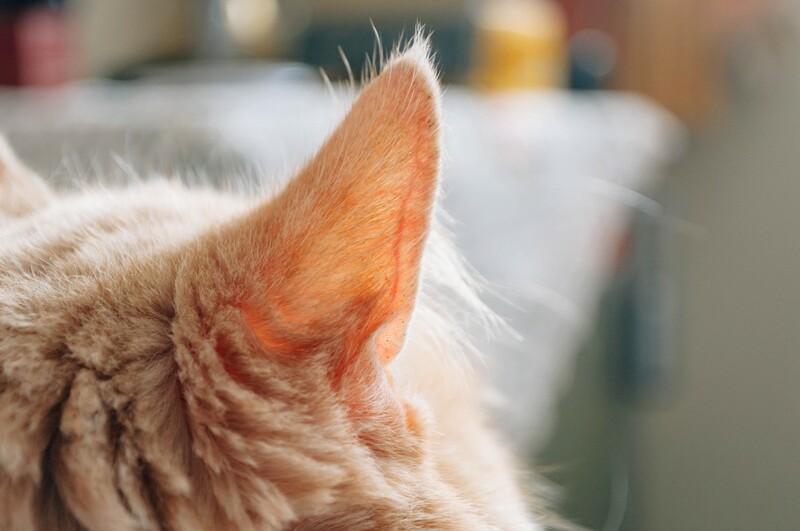 Cats have super sensitive hearing. They hear things we can’t, and much louder. If your cat can hear a mouse rustling in a bush 30 feet away imagine what the bang of a firework must sound like! Probably not dissimilar to someone blasting an air horn in your ear. To make matters worse, fireworks are also highly unpredictable. Think of them as the kitty equivalent to someone sneaking up on you and shouting “BOO”. Unpleasant, right? That’s what a firework feels like to your kitty. How do can I tell that my cat really doesn’t enjoy the bangs of fireworks? Cats like to keep you updated on how they’re feeling. So, If your cat is a little frazzled by fireworks, it’s likely that they’ll tell you about it — all you need to do is pay attention! 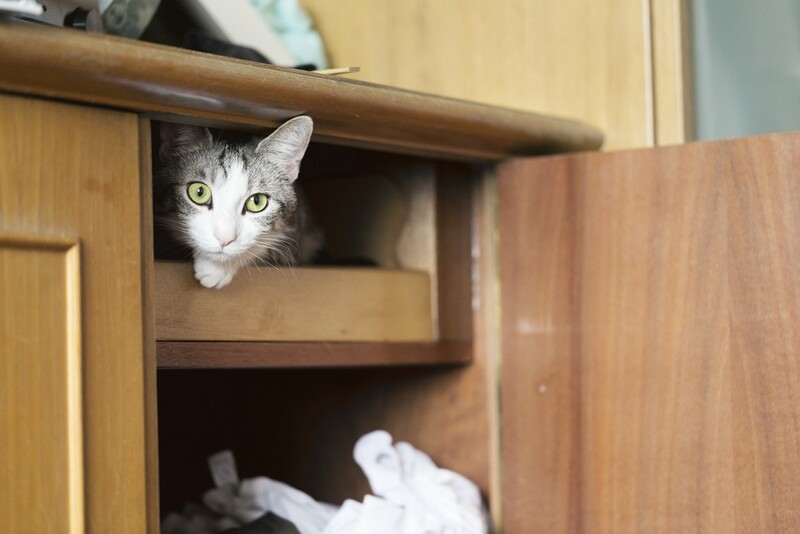 “Cats show their discontent in a number of different ways: whimpering, hiding under blankets and in furniture (cupboards and wardrobes) or attempting to escape”. 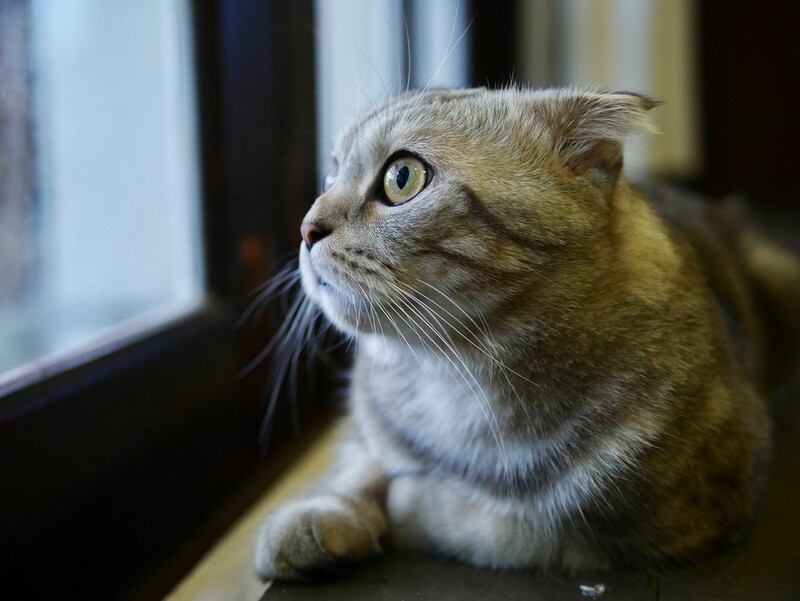 It’s particularly common for cats to try and flee when fireworks are going off outside your home. The sight, the smell, the sounds — they certainly didn’t sign up for this! Other signs of unhappiness to look out for include: panting, scratching and over-grooming. How can I keep my cat calm when fireworks begin going off? Unlike humans, the ‘face your fear’ routine doesn’t work so well for cats. As we’ve established, their preferred solution is to RUN & HIDE! So, to ensure your kitty doesn’t end up sprinting into any trouble, it’s best to try and keep them indoors. After all, the bangs are only going to get louder outside. Combat any grumpiness you may receive from your cat for not letting them out by creating a cosy and secluded den for them inside. Entice them into this hideaway by plugging in a FELIWAY CLASSIC diffuser beside it. You can also attempt to try and distract your kitty from the commotion going on outside. Remember, loud noises are your kitty’s kryptonite, so don’t punish them if they start acting up. Instead, try and comfort them. Finally, make sure your cat has access to an indoor litter tray. Is there a way to help my cat get used to fireworks? Your cat is never going to LOVE fireworks. You’re never going to walk into the front room and see them perched on the windowsill gazing up at the colourful explosions. This just isn’t going to happen! There are, however, ways you can help desensitise them to the strange sounds and smells — this is particularly important if you live in an area where firework displays are common. This will help prepare them for the real event — your kitty will be a firework pro in no time!